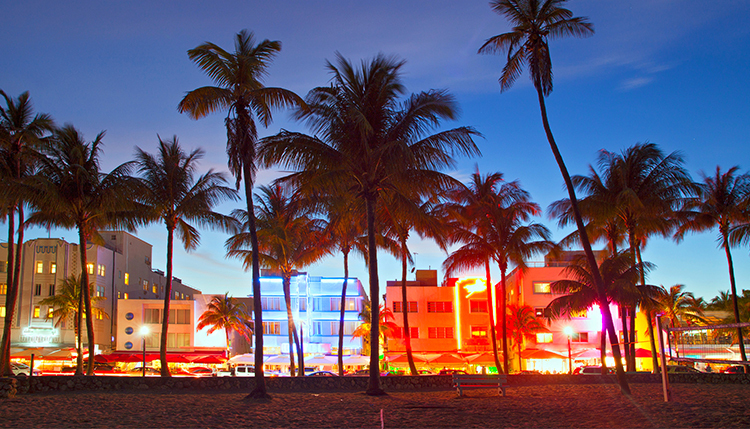 Well established as one of the most unique and iconic destinations in our sport, the world’s premier show jumping series returns to the US continent bringing Olympic-level sport to the world-famous Miami Beach on America’s East Coast. As the second leg in the 2018 season, Miami Beach will provide the perfect backdrop as the world's top horses and riders compete to gain valuable points in the overall Championship season battle. Both Edwina Tops-Alexander (AUS) and her feisty mare Lintea Tequila, and Scott Brash (GBR) with Hello Sanctos have won here at this early part of the season, and with both in contention for the Championship title by the end of their respective seasons, a win here is a crucial confidence boost for the season ahead, with the two in the running to make history with a never-before-seen third title win. The Longines Global Champions Tour will return to the stunning setting of Miami Beach for the fourth year running, and with many of the top American riders regulars on the Tour as well the best international riders from the sport in action descending to the phenomenal location, there will be plenty of incredible sporting entertainment for local and visiting spectators to cheer for.